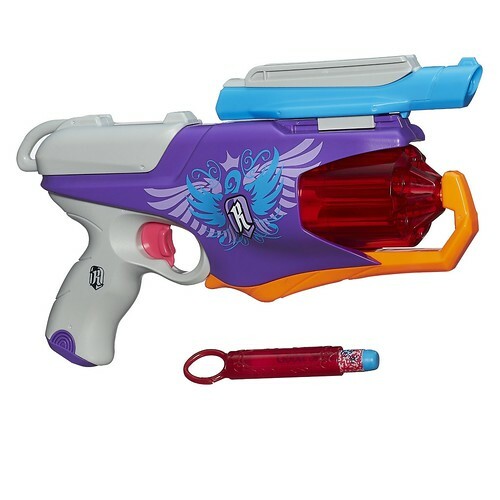 A product image of the Nerf Rebelle Spylight, photo thanks to Amazon. Today’s bit of news is brought to you by Foam From Above and Amazon. 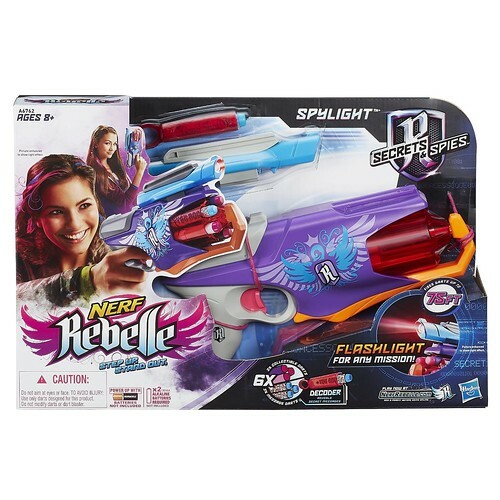 Thanks to Vas and some Instagram searching, it appears that the Rebelle Spylight has been already possibly released. 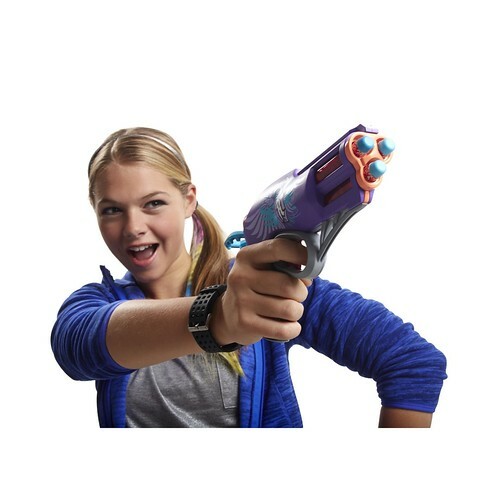 Remember that this blaster, as well as other Nerf blasters, are supposed to be released in Fall 2014. 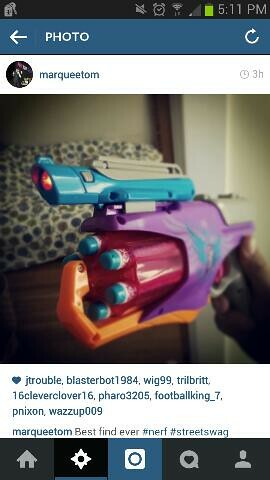 The user “marqueetom” apparently managed to get his hands on the blaster. He hasn’t answered how or where he’s gotten it though. Looking through his photos it appears he’s in Southern California, so if that’s the case I should take a look around and see if I can find one myself. 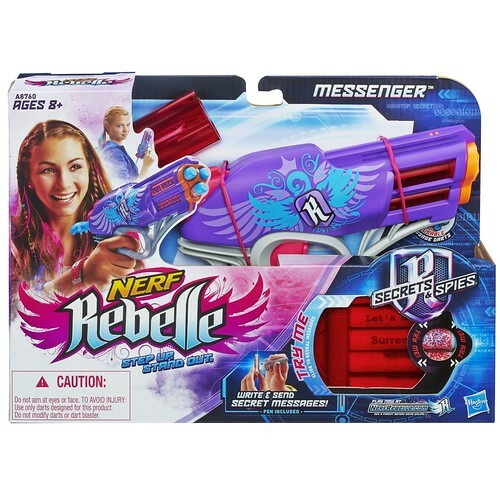 The other bit of small news is that thanks to Amazon Canada, we have some box art photos, as well as more promo photos and product descriptions of the Rebelle Spylight and Rebelle Messenger Blasters. You can not buy them yet, but those have prices for the Canadian Dollar for you Canadian Nerfers. You can check those out below if your interested. Light up your performance with the Spylight blaster. Your spy skills and your aim will be top-notch when you bring this 2-in-1 blaster to the mission. It’s got a detachable light that illuminates your target. 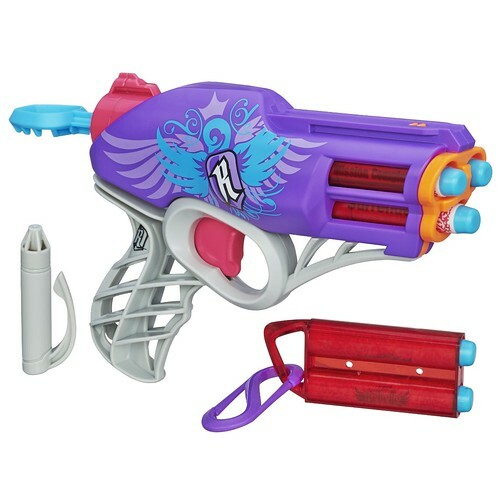 Just load a dart and pull back the slide to fire, or load them all and use the rapid-fire mode to blast all 6 darts at once. The 3 Message Darts contain secret messages that can only be decoded with the included decoder, and your light shines on the darts you receive to reveal their messages. Give the decoder to a friend so you can send coded messages in plain sight of your opponents. It’s time to shine a light on hidden secrets with the Spylight blaster. 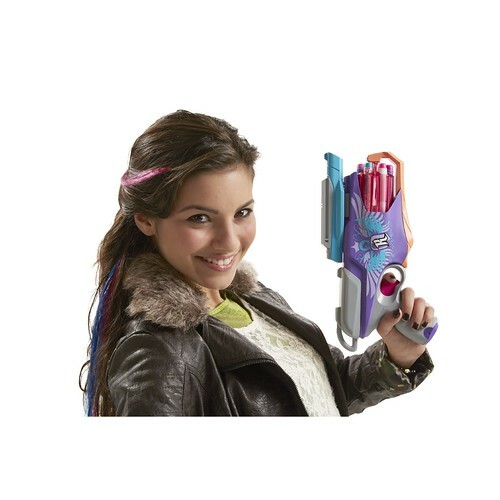 Get your message out with style, but keep your secrets with the Messenger blaster. Your performance will be top-notch when you launch your Message Darts at targets up to 75 feet away. But you can also make your mark as a spy, because each dart contains a secret message that can only be decoded with the included decoder. The special pen hidden in the handle writes hidden messages on the dart, and once the message is delivered, you can erase the message and write another. Give the decoder to a friend so you can send coded messages in plain sight of your opponents. Show your spy style with the Messenger blaster.